All diving is done from our 45' diving dhoni. 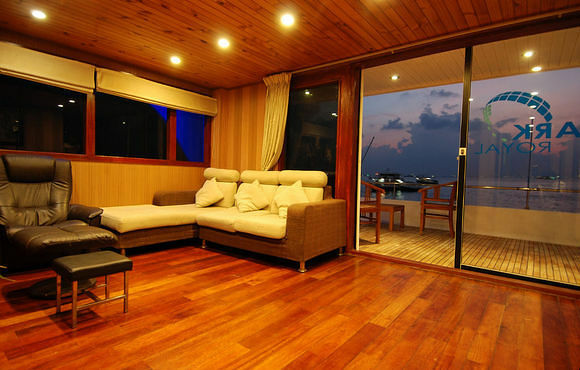 The dhoni is a traditional Maldivian boat and is the main means of transport in this island nation. 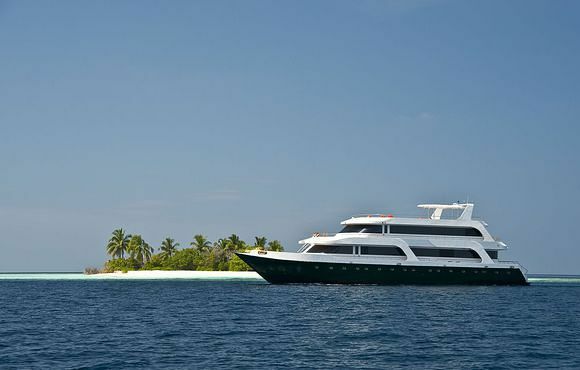 For diving the dhoni is more maneuverable and allows our experienced crew to take you to the most remote and beautiful reefs in the Maldives. 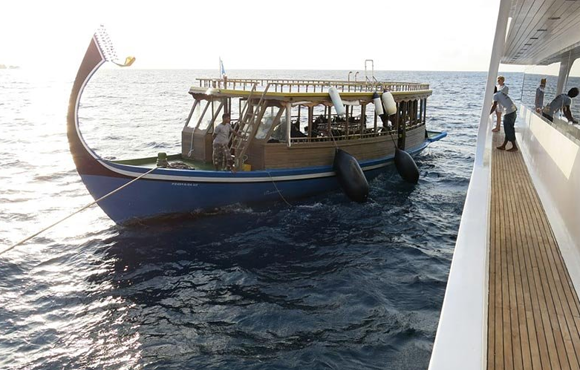 While you are diving, the dhoni will remain close by and the crew will be ready to pick you up when you surface. 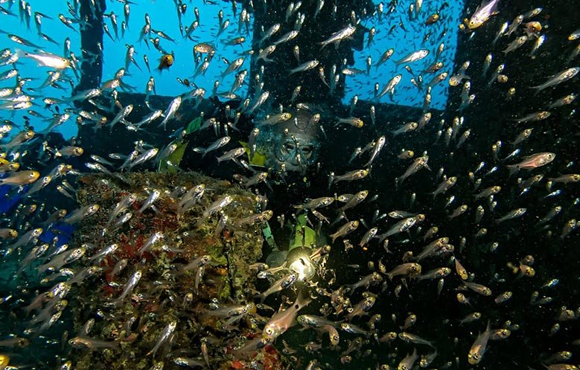 Our Dhoni carries all your dive gear, Oxygen kits, 30 scuba tanks, NITROX and two compressors. WiFi is available when in range at an extra charge. 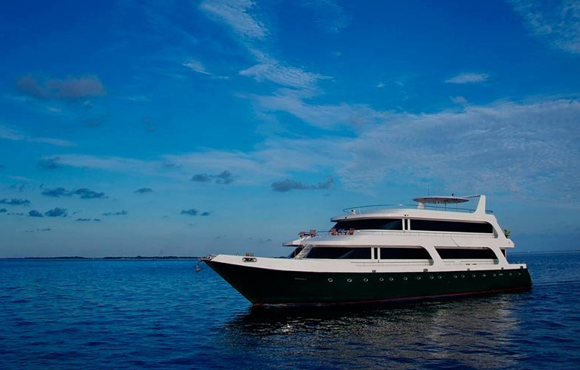 MV Leo, part of the Constellation Fleet, is where your guarantee for a happy, memorable Maldives diving holiday starts. 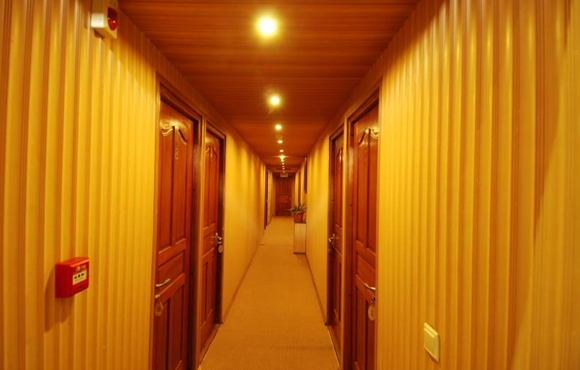 Comfortable and measuring 35m, Leo has 10 ensuite guest rooms and a spacious welcome! 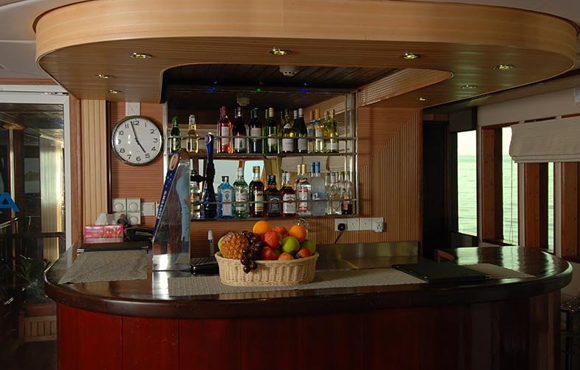 The main deck has a large salon with sofas, licensed bar and Jacuzzi whilst the sun deck is perfect for reflecting on the day as the sun goes down. WiFi is available when in range at an extra charge. 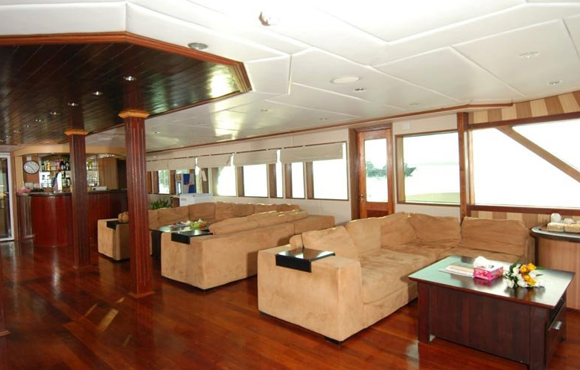 Diving is done from her large 19.8m dhoni tender, getting you to the perfect dive spot every time. 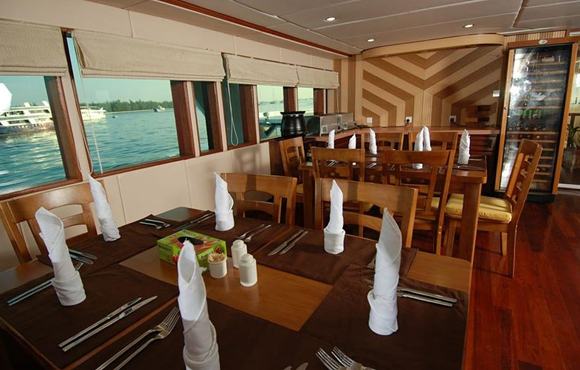 An added benefit is that she's rebreather-friendly, one of the few Maldives liveaboards to offer this and we offer free Nitrox. The Maldives is a warm and fascinating place on many a wish-list. 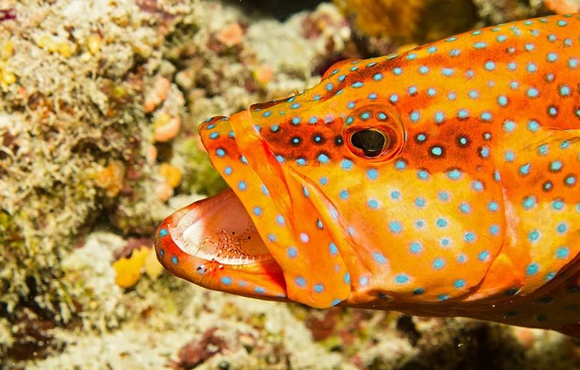 The rich marine life and coral reefs teem with Nature's riches, visited by schools of fish and playful dolphins. 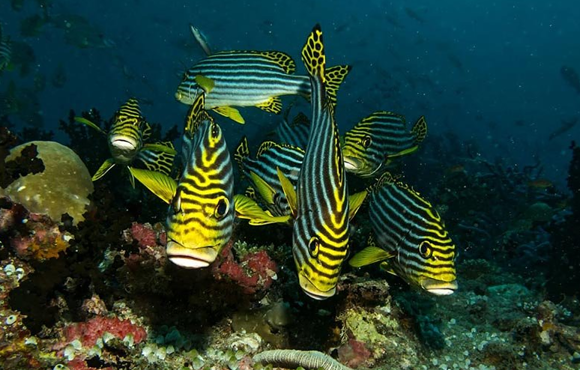 With 26 atolls, the Maldives is one of the most diverse scuba diving destinations in the world. 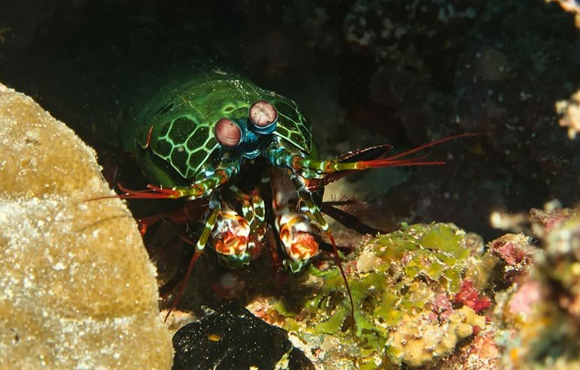 Amazing channel dives draw marine life from the deep,leaving you spellbound. Mountainous pinnacles (thila) rise from 35m and taper to 8m, which make them ideal for those slower, more relaxing dives. 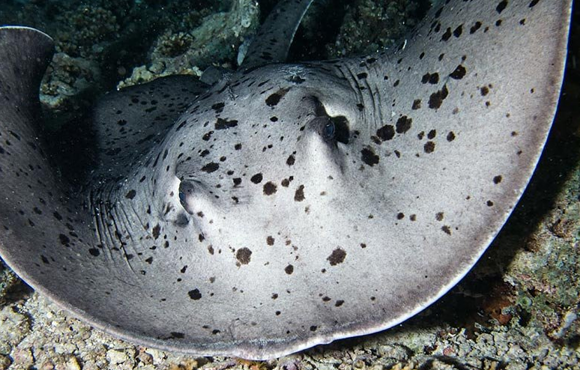 The average year-round water temperature is 27C (80F) and currents can be strong at about 1.5 knots, which is ideal for shark and manta ray encounters. 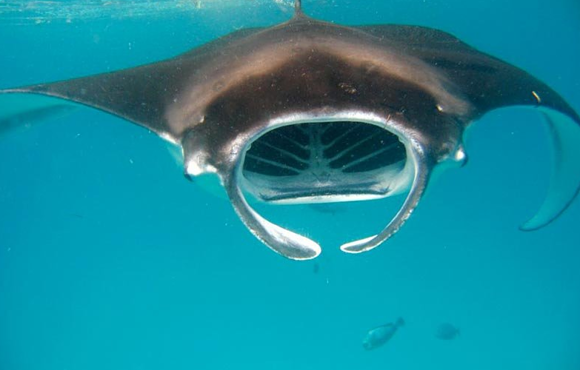 Join MV Leo with the mantas and whale sharks in the sunny, friendly Maldives. 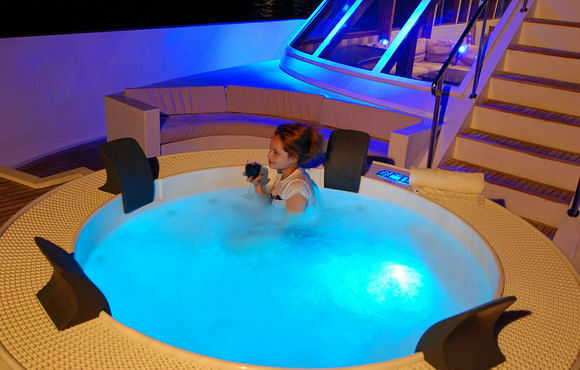 A warm welcome awaits you aboard this modern liveaboard. 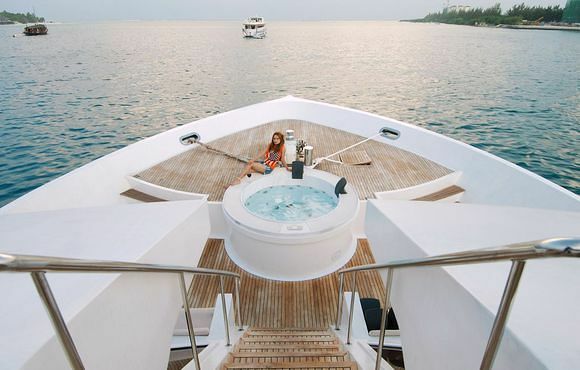 Built to a high standard, Leo is a 35 metre boat accommodating 20 guests in 1 executive double suite, 3 double and 6 twin-berth cabins.